Intelligent Decisioning builds dmg media’s new SharePoint 2010 Intranet in record time. 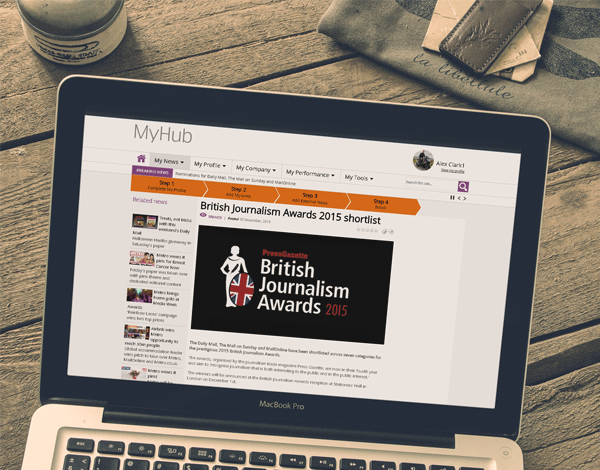 dmg media's existing Intranet (MyHub) lacked user adoption and it was proving difficult for users to find the content they needed. The Intranet had become a drop off point with users only visiting to get to another application. The Intranet was in need of a modern, clean design that focused on finding information quickly and easily. dmg media were also looking to integrate a third party HR/Performance Management SaaS solution into the new Intranet. As the deadlines were tight, only an agile approach to deliver the project would have succeeded. In order to ensure all requirements for the new Intranet were identified, workshops were held with key project stakeholders. The project was run in an agile manner and led by one of our Scrum Masters. Daily Sprint calls and weekly Show and Tell meetings were employed, ensuring dmg media had full visiblity of the development of the Intranet. Our developers regularly deployed to our dedicated, internally-hosted dmg media development environment, allowing the dmg media project team access for full transparency. The intranet was delivered on time and to budget. The new MyHub Intranet was delivered using the SharePoint publishing framework hosted on dmg media's existing SharePoint 2010 Farm. An emphasis was put on News, and a News Centre was provided which allows the user to view corporate news across five different categories, corresponding to areas of the business. Personalisation was achieved through custom Web Parts such as 'My links' - which allows the user to display a list of their most visited applications on the homepage - and a custom wizard, which guides the user through setting up their homepage for the first time. The Intranet uses comments/surveys to capture feedback from users and Managed Metadata tags to ensure content can be easily located. The site was heavily branded using a custom design provided by dmg media's designers. 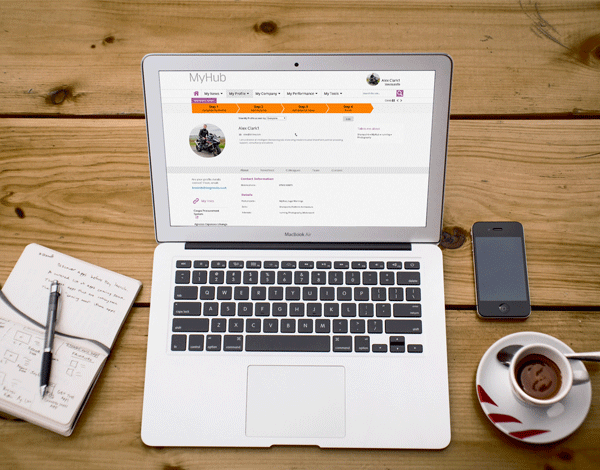 Traffic to MyHub has increased dramatically since the introduction of the new Intranet as a result of increased user adoption. The Communications department are also able to publish news articles and content a lot more quickly than before. Users are now much more engaged with MyHub and are able to find what they are looking for quickly and easily, reducing calls to dmg media's IT Helpdesk. Intelligent Decisioning have been supporting the site since go-live, ensuring it is kept up-to-date with new functionality and that it continues to support the business as it grows. Since the launch, a number of updates have been released, such as an updated news ticker and custom mailshot solution.